Paula Nadelstern has achieved international recognition for her innovative and complex designs inspired by the bilateral symmetry of kaleidoscopic images. 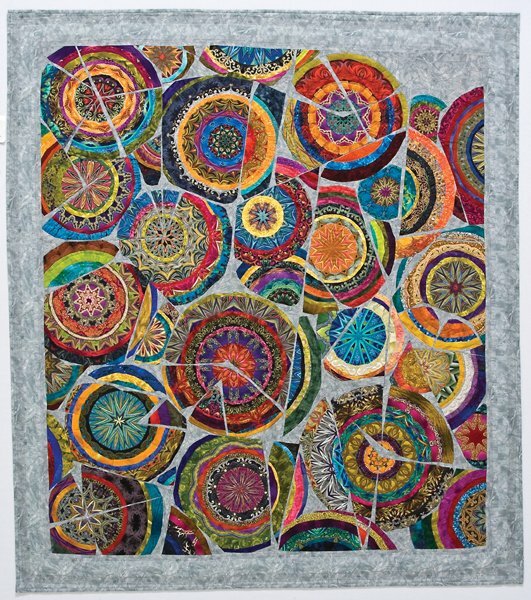 In order to conjure the kaleidoscope persona on the flat surface of a quilt, Paula has learned to trust in symmetry, rely on detail, and revel in process that takes as much time as it needs. 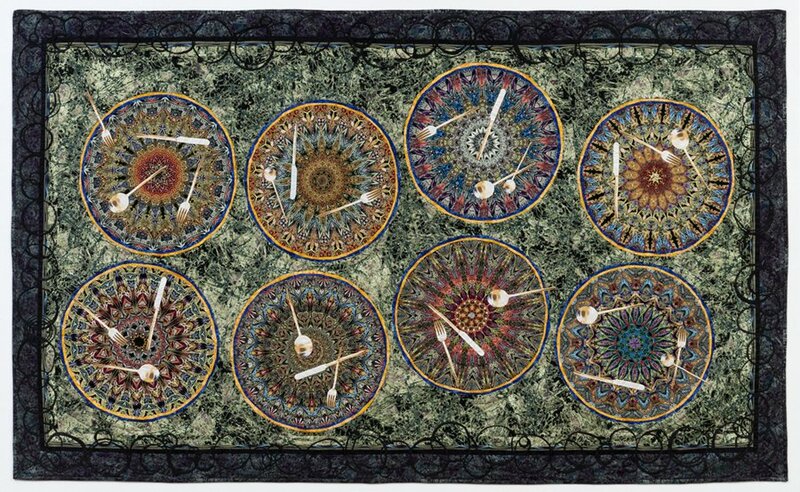 Instead of a traditional sense of fabric orderliness, she seeks a random quality imitating the succession of chance interlinkings and endless possibilities synonymous with a kaleidoscope. 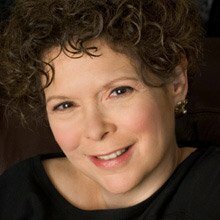 In addition to other numerous awards, Paula has received fellowships from the New York Foundation for the Arts and The Bronx Council on the Arts. 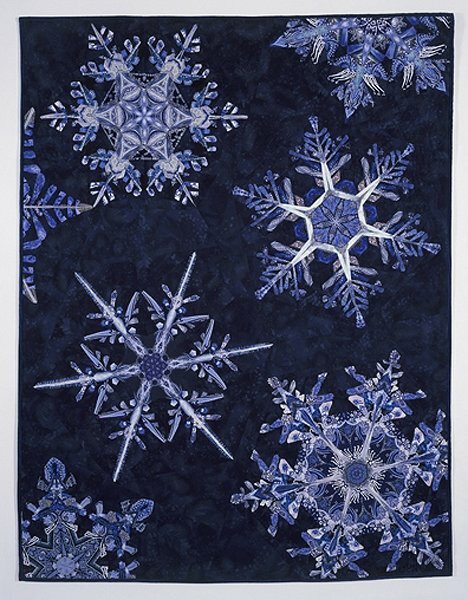 Honored by inclusion in the Twentieth Century’s 100 Best American Quilts, her quilts have inspired many products including the vast carpet in the Hilton Americas hotel in Houston, TX. In keeping with American quiltmaking tradition, much of Paula’s time is spent teaching her design strategies and construction techniques worldwide. 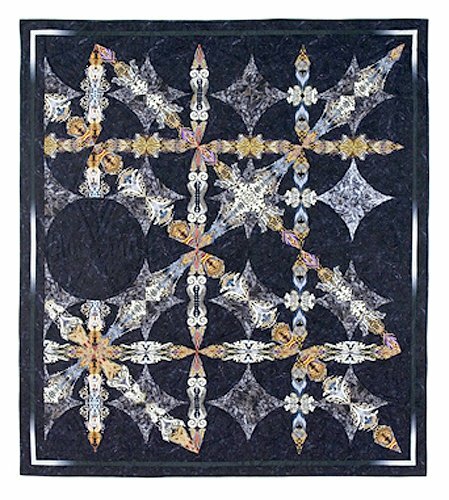 With C&T Publishing, she has written five books showcasing her quilt aesthetic and a coloring book with selections from her fabric collections designed exclusively for Benartex, Inc.
Paula is a self taught artist with academic degrees in Occupational Therapy and Psychology. 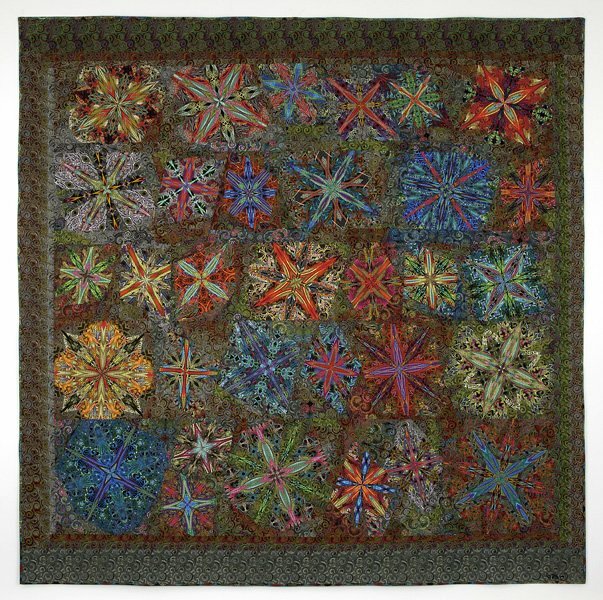 She made her first quilt in 1969 in her college dorm from old clothes cut into ten inch squares. 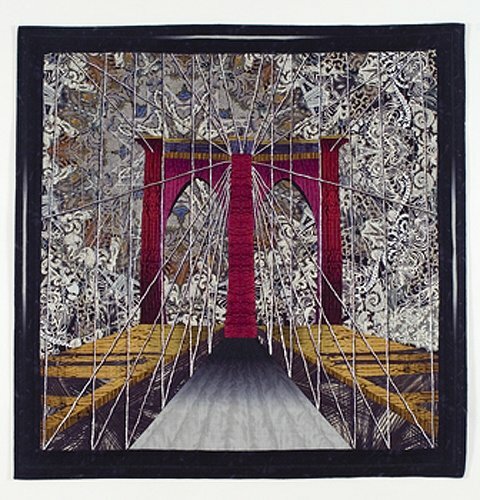 Now she makes her quilts in a 15-by-10 foot studio in the small two bedroom, ninth floor apartment on the same block in The Bronx where she grew up.